2. Roast the slices with a little oil in a sandwich press. 3. Mix the ingredients for the marinade and pour over every slice. 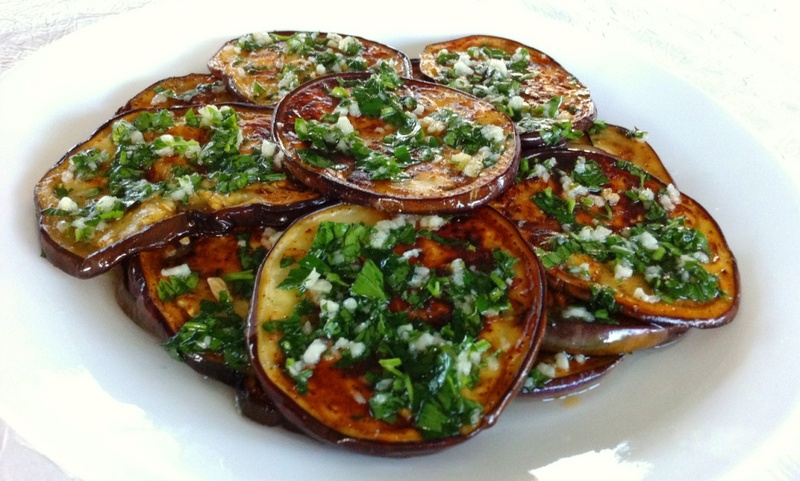 Note: Put the eggplants in the fridge for several hours before use to enhance flavour.